A facility assessment is crucial for data center infastructure. Critical Power Infrastructure: Every facility is unique in the way that they require emergency power distribution. UPS Systems, Generators and Emergency Lighting systems are all typical components that are part of your critical power infrastructure. Ensuring that you understand and are meeting your organization’s expectations for critical power is key. In addition to organizational requirements, code requirements are important to review and understand. Take a look at your life safety requirements that apply to your facility and ensure that you are meeting the proper maintenance requirements and that your facility complies with all applicable codes. Some of the items that are often overlooked might be Arc Flash Hazard assessments or service and management of your emergency lighting. UPS system configuration: A key component when evaluating your critical power infrastructure is your backup equipment. There are three major topologies of a UPS system; standby, line interactive and double conversion. A decision will also need to be made regarding a single UPS, Parallel UPS or Modular UPS. How long does your equipment need to stay online? What does your electrical one-line look like? UPS systems also differ in their energy storage approach with some systems having batteries, and other might have a flywheel configuration, each having different maintenance requirements. Other areas to consider are your cooling, footprint, and voltage requirements. Often times other factors such as criticality of load and run time requirements are driving forces involved when determining the right UPS system, or proper maintenance program. Footprint review: Space availability, sizing something to fit and limitations due to growth, current building and electrical design layout will all need to be evaluated. As businesses grow or energy demand decreases, needs change. Employees may now work remotely, there could be acquisitions, mergers or other changes. Technology also changes and evolves, equipment is more efficient, smaller and more reliable than ever. During new projects, adaptability and scalability are topics to keep in mind. Physical location: Taking into consideration the natural environment and what challenges that might present is important. Depending on what products are being manufactured or how clean the environment is can directly impact electronics. There could be limitations due to single and three phase power availability, distribution and cabling, or overall design layout of the building. The age of the when the building was originally built and the purpose in which the building was built can have additional challenges that should be considered. Energy: Rightsizing your UPS could potentially save you thousands of dollars in energy costs. An appropriately sized UPS should also cause less demand on your cooling systems which should result in lower operating costs. We partner with our customers and local utilities to determine if rebates may be available for energy savings as well. 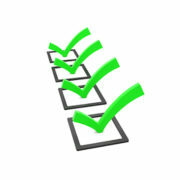 These are a few items that should be included on a comprehensive facility assessment. As you venture into new projects and make investments into your business, having detailed findings on challenges you may face is extremely helpful. Quality Power Solutions is happy to help. Quality Power Solutions’ Certified Power Quality (CPQ) specialists can complete a facility assessment to include a full review of your current system and a written analysis of their findings to include the aforementioned items and several others. Contact us today!